Treat your loved one to the best delights the Iberian peninsula has to offer. 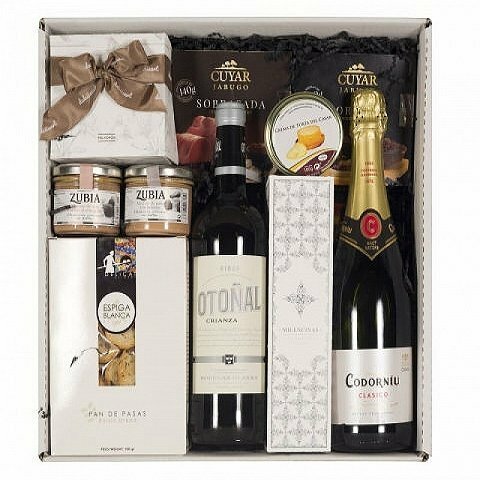 This hamper is full of premium products such as Spanish nougat, chorizo, cured cheese, Leopaul duck foie gras and bottles of fine red and white wine. Share this tasty selection now to celebrate a special day with your family even when you can’t be with them in person! Share the tastiest gifts from the Iberian Peninsula with Chorizo, cured cheese, Rioja Alta red wine and sweet white wine all delivered together in a decorated cardboard box.